The Nike Air Max Sensation made its return in late 2015 for its latest retro run. 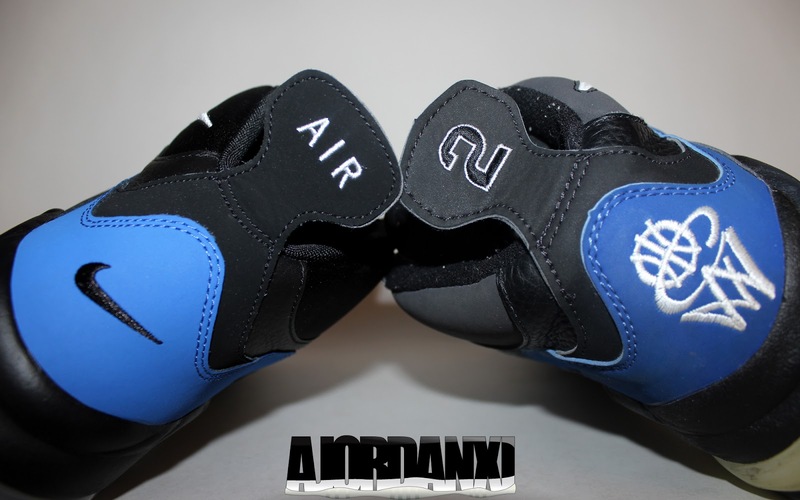 A few colorways were confirmed, but the one everyone had their eyes on was the original black and varsity royal. This marked the first retro for this colorway, which was last seen in 1995 when the Sensation was originally known as the Air Max CW. 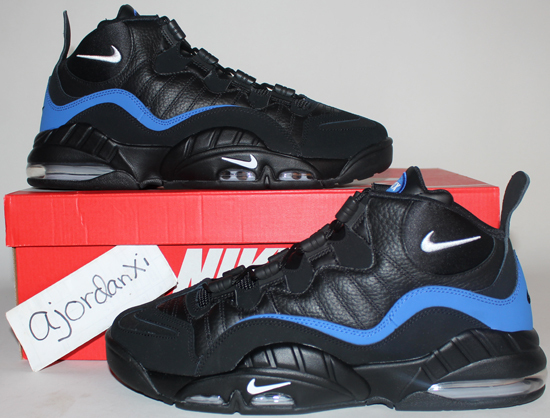 Needless to say, this was the colorway I had to have as well, especially since I still own a pair of the originals in my collection. I was lucky enough to snag a pair game-worn by Chris Webber with their original box many years ago, and still have them today. 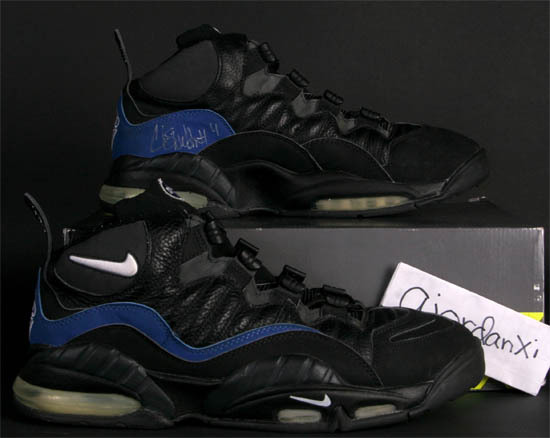 A few years back, Webber visited the NBA Hall of Fame and graciously signed the sneakers for me. 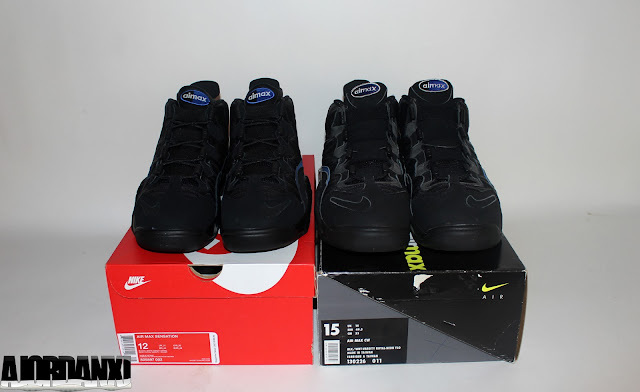 So as soon as the retro hit the shelves, I scooped them up and looked forward to doing a side-by-side comparison between them and my original CW's. The 2016 release stays true to the OGs, with only subtle differences. 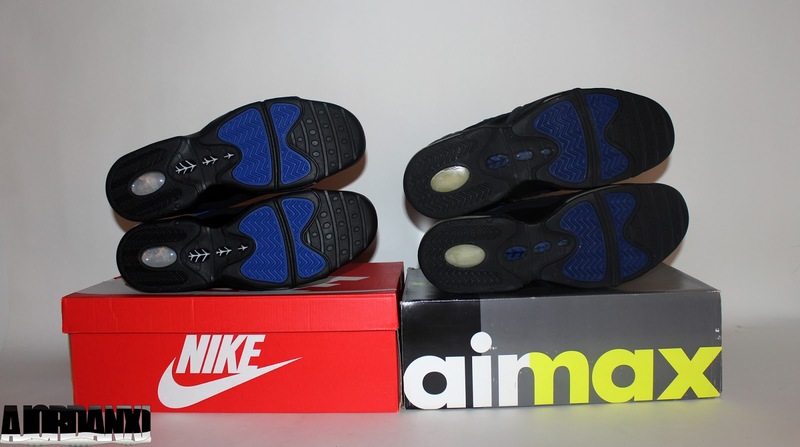 The "Air Max" patch is still on the tongue, and all the Nike branding remains in the same places. 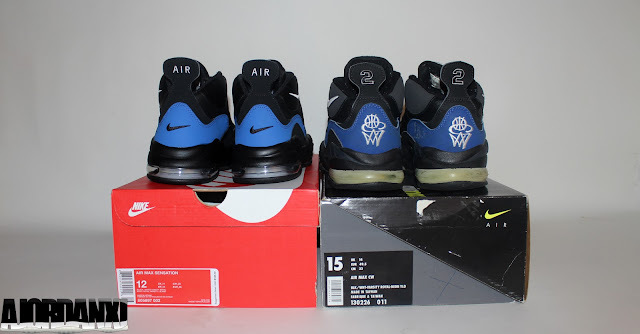 The only major difference outside of the "CW" branding which is not found on any of the Air Max Sensation retros is the neon yellow max air units. But that's just a minor detail that is often over-looked anyways. 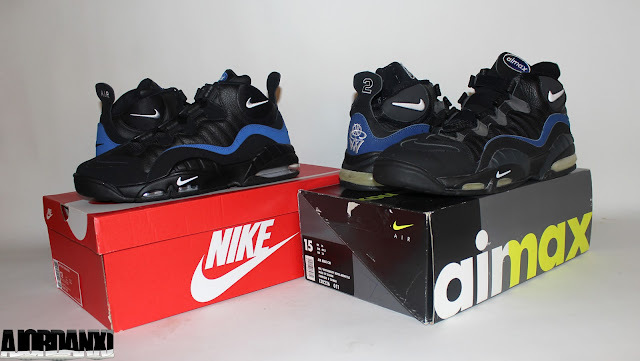 At the end of the day, I am pleased with the quality, shape and overall build of the 2016 Nike Air Max Sensation retro and am glad I was able to add them to my ever-growing collection. If you were on the fence about them, hopefully these words sway your mind. If there's one colorway not to sleep on, its this one. 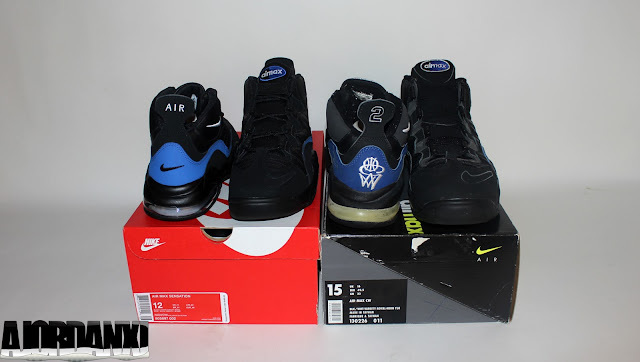 Enjoy the detailed images below of both the original Nike Air Max CW in black, white, varsity royal and neon yellow as well as the 2016 retro Nike Air Max Sensation in black, white and varsity royal. If you're interested in picking up the latest release, check in with your local spots to see if they will be receiving them. Those of you looking for a pair now can, grab them from eBay here.